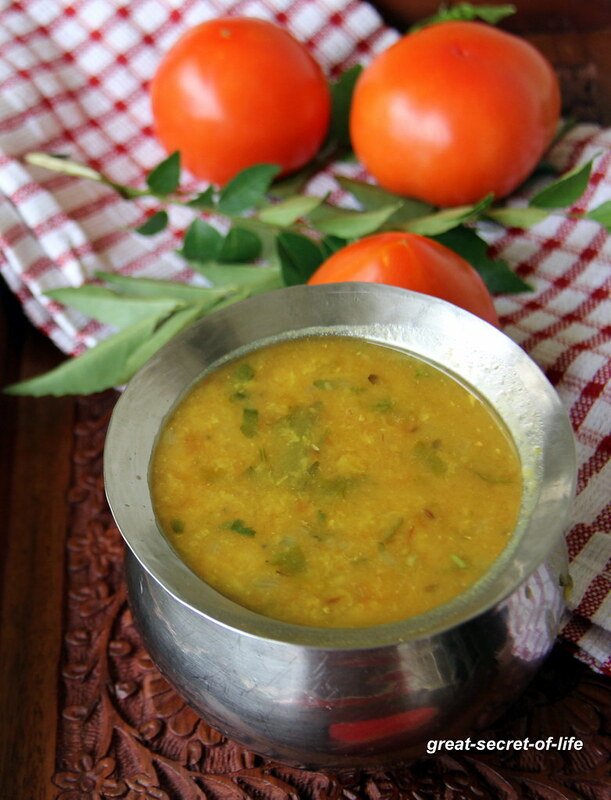 Tomato Gostu or Tomato Kosthu is a simple side dish which goes well with idli / dosa or pongal. 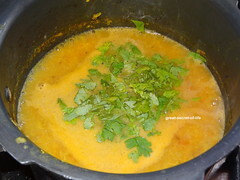 The name is new to me but my mum does this quite often for idyappam or idli she calls it just paruppu. 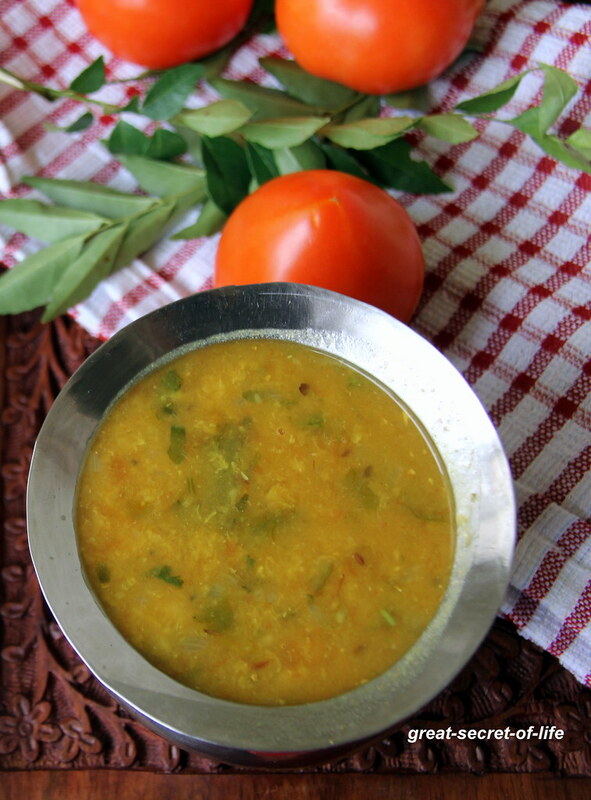 I find it goes well with idli / dosa or rava pongal .. 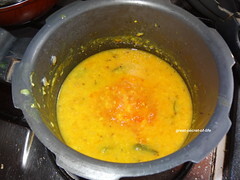 This gostu will be watery than Sambar. 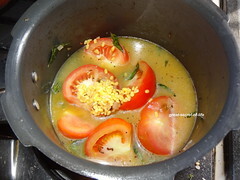 Add Green chillies, Moong dhal, turmeric powder and sliced tomatoes. 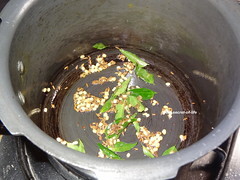 Add 1/2 cup of water and cook it till 2-3 whistle. Switch it off. 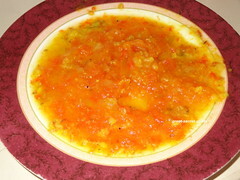 Once cool down remove the skin of tomato and mash it. 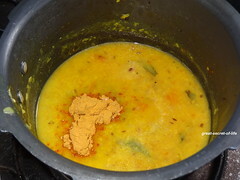 Add it back to the sambar.Add sambar powder, 1/2 cup of water and mix well. 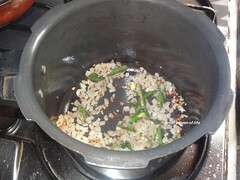 Let it boil for another 5-7 mins. Aah!! 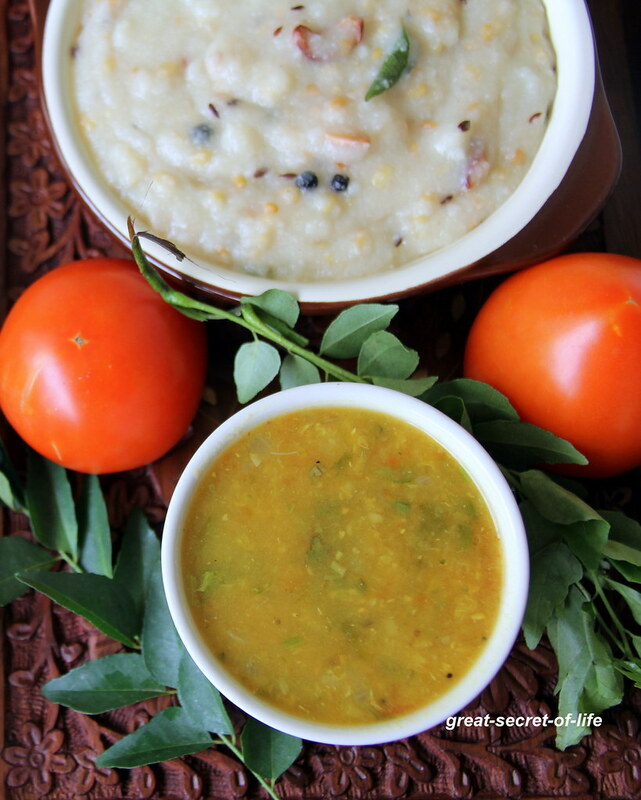 thats one simple and comforting side for idli/dosa!! Simple and cool recipe.I like time consuming recipes. 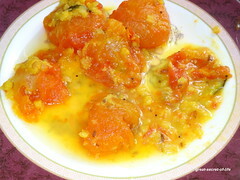 my fav combo is tomato gostu with idlis...loved your recipe! 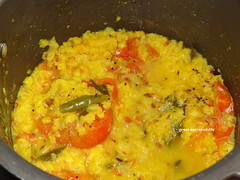 I love gothsu with pongal and idlis.. looks very delicious..